Saracens have named England international George Kruis in their Anglo Welsh LV Cup team to play in the Semi-final against Northampton Saints at Allianz Park. In a repeat of last year’s Premiership final, Maro Itoje will lead Sarries who have considerable international epxerience in their side. 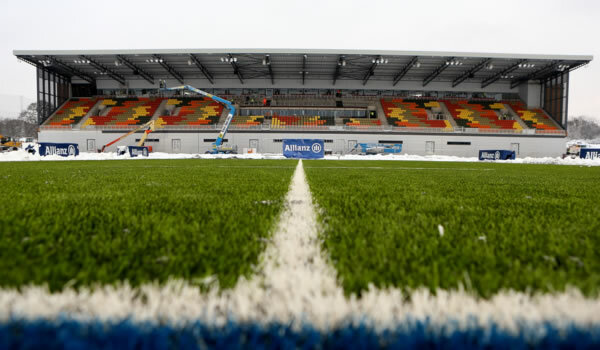 Joe Shaw’s side are unbeaten in this season’s cup campaign, and the Saracens LV= Cup coach has selected a side with a mixture of youth and experienced for the final four clash. Ben Ransom starts at full-back and is joined by Mike Ellery and David Strettle in the Saracens back three. 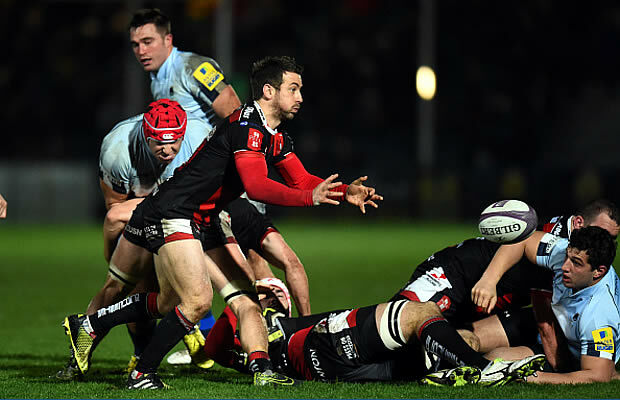 In the centres, Tim Streather slots in and partners Argentine international Marcelo Bosch in the Sarries midfield. In the half-backs, Ben Spencer will link up with Nils Mordt, who will be facing his former club. Up front, Wales international Rhys Gill packs down alongside Jared Saunders and Argentine tighthead Juan Figallo. At lock, Itoje continues to skipper the LV= Cup side and is joined by USA international Hayden Smith. In the back row, Nick De Jager starts at blindside flanker, with LV= Cup Breakthrough Player of the Year nominee Matt Hankin starting at openside. Experienced back rower Ernst Joubert is named at number eight. Meanwhile for Saints Mike Haywood will become the third Northampton Saints player to make his 100th first team appearance for the club this season after having been named in the starting line-up. Haywood is one of just a handful of players who remain in the Saints’ starting line-up from last weekend’s Aviva Premiership Kingsholm classic as the coaches look to freshen things up in the season’s first semi-final. There is a notable return to action for flanker Jon Fisher, who makes his first appearance since the LV= Cup Round 2 trip to Parc y Scarlets in November. Phil Dowson captains the team from the back row, while Alex Corbisiero and Samu Manoa will also offer some experience in the Saints pack. Kahn Fotuali’i and Sam Olver will combine in the half-backs and will be charged with pulling the strings. Replacements: 16 Scott Spurling, 17 Richard Barrington, 18 Biyi Alo, 19 George Kruis, 20 Kelly Brown, 21 Tom Whiteley, 22 Thretton Palamo, 23 Catalin Fercu.